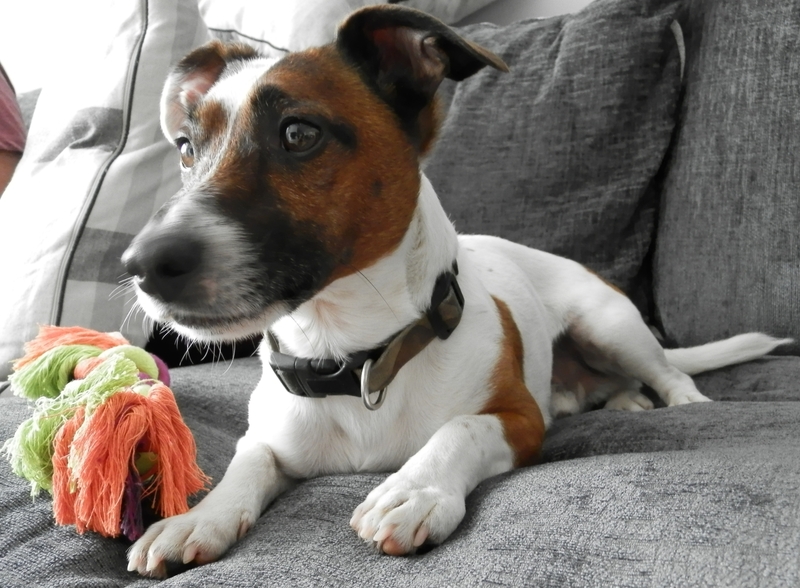 It’s been four months (nearly) since a little furry, four-legged cheeky dude entered mine and Matt’s life. It’s been four months of learning, testing our patience and adapting our routine but we honestly can’t remember what it was like to not have Patch in our life. 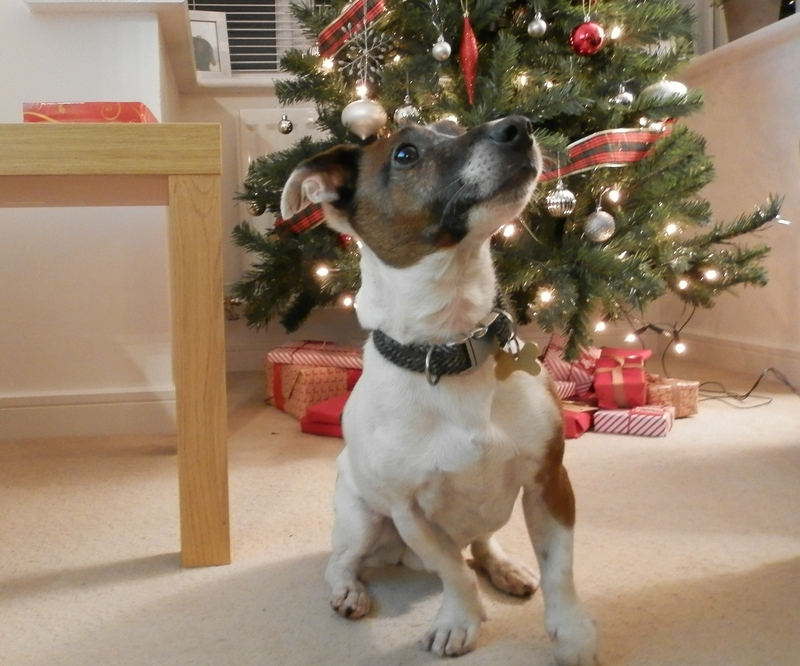 Currently Patch is looking forward to Christmas… in all honestly he hasn’t a clue what it is. He’s just intrigued by the presents under the tree, the treats he can smell hidden in a stocking hanging from the stairs, and annoyed by the increasing presence of the postman! Over the past few months Patch has been making new friends, both four-legged and two-legged. Making friends with other dogs has been a testing time for us as he’s quite fussy with who he likes the look of who he doesn’t. However our amazing dog walker has successfully integrated him into a mini pack which consists of two spaniels. He see’s his two friends at least a couple of times a week so we believe this is doing wonders for his confidence with other dogs. He’s also met a number of other family dogs. He’s became firm friends with my dad’s cocker spaniel Jasper and has met my Mum’s rowdy pack a couple of times. Meeting my mum’s three dogs was stressful for both him and us. We were obviously anxious that it wouldn’t end up in a big fight about who is going to be top dog, as he’s never socialised with three other dogs in this way since he was in kennels. However things are going well. The first time they met there was a few snaps at each other over toys. But this past weekend, Patch kept out of their way for most of the day but still wandered around with them a little. He’s going to have a little dog holiday there while we’re in New York as we believe all the dogs will behave much better when there isn’t Matt and I to argue over – which does happen. Overall his socialisation is getting better. He’s still a cocky little jack russell but he’s letting other dogs get near him and giving them a chance rather than just reacting to them. For us this has been a huge step! When he’s not been making new friend’s, Patch has been learning new tricks. He’s quite a quick learner – although my nana said this is a bad thing as it shows the dog doesn’t have much intelligence as he will then have to do everything you say going forward. But as I said to her, I don’t need him to be intelligent I need him to be obedient. Patch plays ball wonderfully now. No more snatching and 80% of the time he’s happy to leave the ball so you don’t end up running around the park shouting at him. He also leaves food and treats really well and is happy to sit patiently until you tell him to eat. Our favourite trick is paw, because he looks so damn cute while doing it! We’re still looking to take him to obedience classes in the New Year as he’s far from perfect. He definitely needs to learn how to walk better on the lead. But I believe that his currently routine which is a mixture of runs and walks can confuse his behavior while on lead. Obviously when we go for a run I’m happy for him to pull ahead, but when walking he gets told off for doing this. With all the socialising and skill learning it has been a busy few months for our little dog. Which is probably why he’s happiest curled on on the couch in a self-made den of cushions and blankets. Cat. He sounds so cute and a wonderful addition to the family ! He is a little character that’s for sure! Keeping us on our toes but filling each day with fun also.